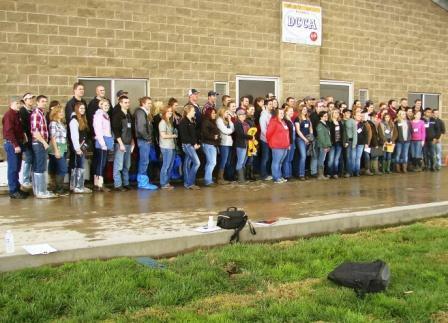 Sixty-seven students from 10 colleges participated in the Western Regional Dairy Challenge held February 28-March 1, 2014 in Tulare, Calif., and hosted by College of the Sequoias. 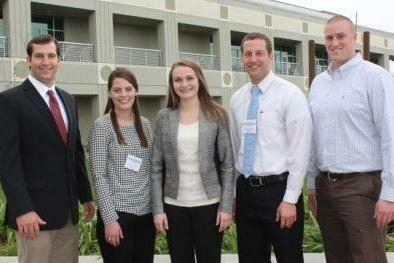 One of three Platinum winners at the 2014 Western Dairy Challenge was Team 2 �China Peak.� Team members included, from left to right: Justin Roeloffs, Cal Poly-SLO; Mary Lavendar, Texas A & M; Rebecca Thomas, Oregon State University; Tyson Grisenti, Utah State University; and Landon Macy, Washington State University. 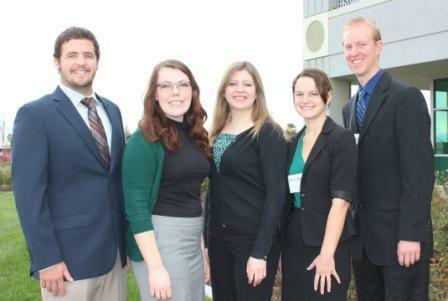 Team 7 �Northstar� was named one of three winning teams at the 2014 Western Dairy Challenge. Team members included, from left to right: Hudson Hanlon, Cal Poly-SLO; Rachael Ashley, University of Idaho; Caitlin Quesenberry, Washington State University; Emily Shifflett, UC Davis; and Jonathon Weststyn, CSU Fresno. Team 7 �Tahoe� was awarded one of three Platinum awards at the 2014 Western Dairy Challenge. 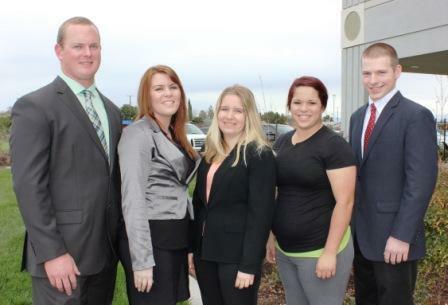 Team members included, from left to right: Case Vyfhuizen, Cal Poly-SLO; Brianna Williams, University of Idaho; Maaike Clapham, UC Davis; Ashley Smyk, CSU Fresno; and Kevin Gavin, Washington State University. 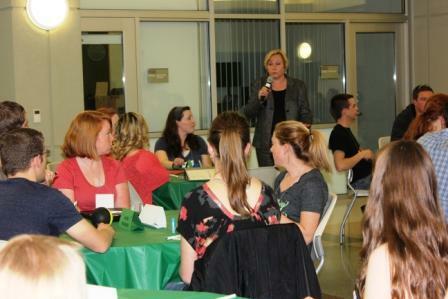 Dr. Louann Waldner, Dean at College of Sequoias, leads a team-building workshop to help prepare students who would later break into mixed-university teams to analyze and provide recommendations for an operating dairy.